The saddest day in a young adult’s life is the day you are called out for being too old to trick-or-treat. Halloween goes from being one of the best days of the year to a little bit of a bore. Once you turn 21, however, Halloween takes on a whole new meaning. You get to still dress up even though it’s a little beyond age appropriate. If you are a parent, you can still take part in your kid’s fun. Instead of trick-or-treating, you get adult candy. Delicious, alcoholic adult candy. And for people who wish to enjoy the Halloween spirit with a little cocktail, I introduce to you the Halloweenitini. 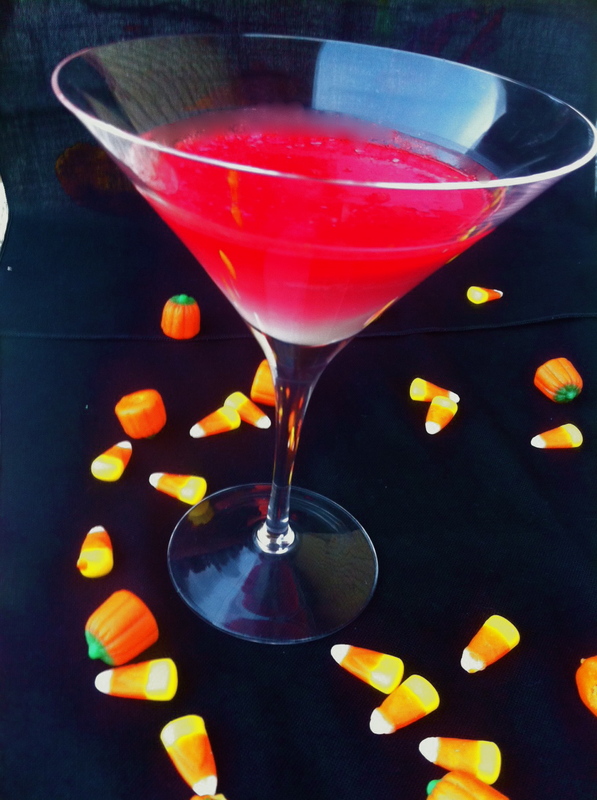 This cocktail is inspired by candy corn but tastes like dessert. White chocolate liqueur, vanilla vodka, and orange juice team up to create a beautiful layered creation. It’s quick and easy and a great way to entertain your over-age trick-or-treaters. Mix the vanilla vodka, orange juice, and food colorings in a large liquid measuring cup. Layer 3/4 of an ounce of the white chocolate vodka into each martini glass. Gently later 2-3 oz of the vanilla vodka mixture on top of the white chocolate layer. Pour slowly!! The better the pour the more even the layers will stay. Next postWhat to do with all that extra Halloween candy…..